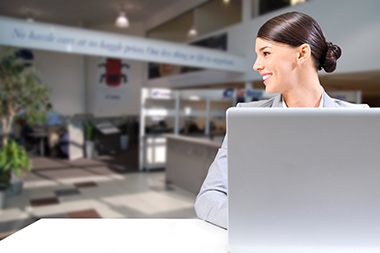 CarSense offers features no other car dealer does because we see our customers in ways few other dealers do – as friends to be served, not customers to be sold. We are proud to staff highly ethical, team oriented people who have a passion for excellence and love to help others. As we grow, so does our need to place talent in administrative jobs. We are always looking to add clerical jobs to our team with candidates that have a high level of integrity, a passion for success and have the customer – both internal and external - in mind as they perform their work. As a CarSense employee in one of our admin jobs, you must have a service mentality and be ready to do what it takes to help each other and our customers. We strive to put our customers’ needs ahead of the priority of selling a product or service which is the cornerstone of our success. Car Sense is rapidly expanding and our clerical jobs offer a VERY real opportunity for growth! If CarSense admin jobs sound like what you’ve been waiting for, you may be a perfect fit. Join our Talent Network today to put yourself in the front seat to a better career! We currently do not have any openings for Automotive Administrative Careers at CarSense. If you join our Talent Network, we will email you as soon as similar jobs become available.